Lost Dimension combines a lot of things I love: JRPGs with tactical elements, visual novels and finding a suspect from a group of likable characters. In fact, on the surface it draws a large influence from a few of my favourite series, such as the Trials from Danganronpa or the Materia concept from Final Fantasy, which initially gave me some concerns about how original Lost Dimension would be. But after playing Lost Dimension, I found the combination of these elements plus its own mechanics and its story of traitors make Lost Dimension a unique tactical 30 hour experience that remained enjoyable throughout my time with it, even with some imperfections. As someone who likes stories that make me feel like I need to constantly look over my shoulder, Lost Dimension is right up my alley. Lost Dimension mixes suspicion into the usual ‘save the world’ JRPG plot. The world is being targeted by a man called The End (no really, that’s his name), who gives the world an ultimatum: defeat him at the top of a giant pillar within a limited number of days or else he’ll destroy the world. Lost Dimension’s characters are all members of S.E.A.L.E.D., a secret government group formed to stop The End’s terrorist attacks that all boast special supernatural gifts, such as Teleportation or Superhuman strength, that give them an edge in battle. The group are briefly separated at the start of their mission with no memory of how, meaning they forget an important fact: there are a small group of traitors among them acting as friends to covertly affect their mission. To top things off, The End forces them to try find the traitors as they progress through the pillar’s floors and kill off a suspect on each floor if they want to complete through the tower Each of these story aspects may seem familiar to players of JRPGs or Japanese games, but I've never seen a combination of all of these story elements in one game like this, giving the story a unique feel. Keeping traitors in your team can be damaging in the long run, so it’s important to try find the traitors as they cycle through each floor/chapter, despite how sad it is to kill your new comrades. After completing missions, the protagonist’s Premonition gift kicks in, letting you hear the other party members inner thoughts to pick out the traitor. It's not that difficult to find suspects, as multiple voices will be distorted and they are supposed to be that floor’s traitor but I like how it added other innocent character's distorted voices to try mislead me. 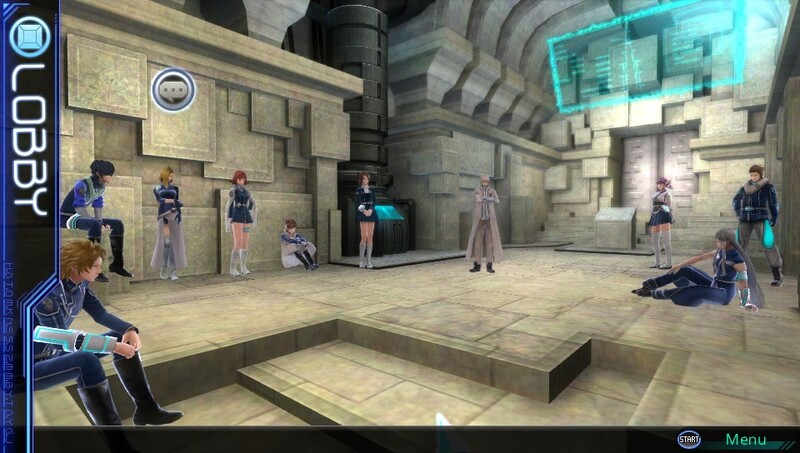 Finding the traitor is all well and good, but Lost Dimension’s Camaraderie System adds emotions into the mix, allowing you to befriend your teammates as you progress through the story in a visual novel style. Since the main story cycles through vague and sometimes flat-sounding lines in order to tell the story no matter who the traitor is in the part, Lost Dimension’s character depth and best story moments lie hidden in this optional Camaraderie portion. The characters are all struggling with something, including loss, morals and even dreams of being an Idol, that all explore the negative sides of their supernatural gifts and with characters that don't follow the usual JRPG tropes, I was able to feel a connection to the characters easily. Camaraderie was one of my favourite parts of Lost Dimension as it made me feel way more invested in the story than the vague main story did and the complexity of the characters really lifted the main story. This made it hard to weed out the traitor at times, as in my playthrough two of my favourite characters ended up being killed as suspects and it really added a harshness to the trial system. My only concern is that this part of Lost Dimension may get looked over or rushed by players because of its optional nature. 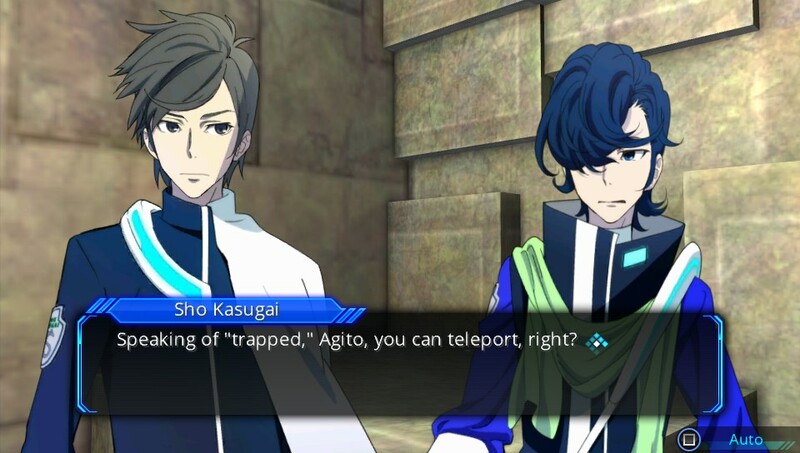 Lost Dimension's strength lies in investing you in characters and then taking them away from you, but that may be lost on people who only briefly explore it in preference of battling and racing through the story. To unlock new conversations with comrades and see Lost Dimension’s main story, it’s essential to complete Lost Dimension's tactical quests to progress through the tower. The tactical battle system in Lost Dimension is easily understandable to those who have played JRPGs or tactical games, but mixes in a few new mechanics of its own to keep things interesting. Character gifts act like classes and dictate the abilities and stats of a character, including their movement and physical strength. I found most characters could be divided into close range tanks, long ranged attackers, support or long distance movers, so as long as I brought a party with a combination of these I was ready to take on most quest's tactical challenge. Enemies are all quite similar and aren't very noteworthy as they all look similar, but with high stats they can overwhelm a party with sheer numbers, which is the real challenge in Lost Dimension's quests. Mixed in with the usual JRPG mechanics is Defer, a unique yet simple mechanic where a turn could be essentially transferred to another character, allowing them to attack again. It's a simple idea but ended up being one of my favourite mechanics of Lost Dimension because of the edge it gave in battle by giving more access to the skill I needed. With a party of six, Defer allowed me to do things such as only use characters with long-range abilities against crazy tank enemies or to teleport and fly long distances from enemies that kept spreading more enemies, and was an interesting new way to think in a tactical RPG. While the battle system of Lost Dimension is pretty fun, I had a few awkward moments with it due to some camera issues while playing the Vita version. Between turns, the camera that was supposed to show me the enemy’s actions occasionally showed me walls while following out-of-sight enemies. I know it's not a huge problem, but it happened enough times for me to wonder how it still remained in the game and ruined the purpose of showing me the enemies actions at points, making it a small waste of time. Another thing that kept me from being totally immersed in Lost Dimension’s world was its story dialogue. While the story itself is interesting, it tends to be a little vague in order to keep the continuity. 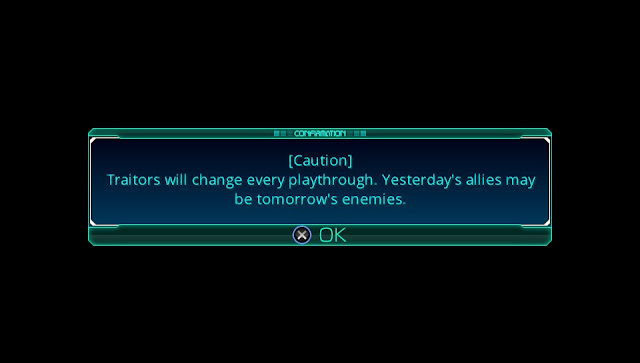 Since traitors are randomised every time you start a new game in Lost Dimension, the dialogue avoids a lot of direct communication with characters. It’s a sacrifice made to keep the replayability interesting in Lost Dimension and to keep its unique concept, but it’s a clear difference from similar games like Danganronpa where the intercharacter relationships are a huge part of the main story. Luckily, the Camaraderie portion of Lost Dimension makes up for this in many ways, but as someone who loves getting invested into a good plot, the main story wasn’t really skilled at doing that. With the story-telling method supporting Lost Dimension’s replayability, there is appropriately a New Game Plus system in place so you can find a new traitor without losing your progress from your first playthrough. My playthrough of Lost Dimension lasted a decent 30 hours but I didn’t get the true ending, so I may revisit Lost Dimension in future. In the New Game Plus mode, your Ability points carry over, allowing you to essentially keep your abilities and focus on meeting the criteria for the True Ending. Since I enjoyed the Camaraderie part of Lost Dimension, I’d like to go through and max out my bonds with people who I wanted to get to know more before they sadly betrayed me. Lost Dimension may use a few ideas from other games, but its traitor concept and battle system make it an original experience. I had multiple moments of sadness when my favourite characters betrayed me thanks to the engaging Camaraderie system, even if the actual main story didn’t give me the same emotional connection. 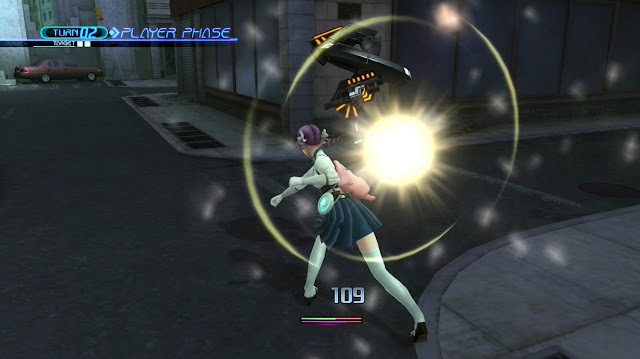 As my first 3D tactical JRPG experience, I enjoyed Lost Dimension’s use of range attacks and the interesting Defer system that allowed me to take advantage of the character’s gifts. It’s not a perfect combination of randomised story aspects, traitors and JRPG elements, but that certainly doesn’t mean it’s not enjoyable. Lost Dimension is a great idea and worth exploring if you're also a fan of these elements. A unique and fun game of traitors and tactics, albeit with imperfections. I’d love to see a sequel that improves on this idea, but for now, I have to consider replaying it to max out all my bonds! You can pick up Lost Dimension from Play-Asia.com! 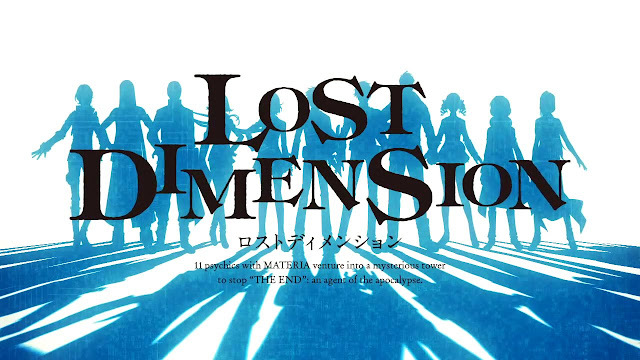 Have you tried Lost Dimension? What did you think of it?